These 17th century maps had the exact co-ordinates of Koh Samui, alongside the name “Pulo Cornam”. It is most likely that trade between mainland China and Samui commenced a considerable time prior to this. Recording of history in Thailand, a century or more ago, was the responsibility of the Royal Court and it’s scribes. The lack of documented history about Samui indicates there was little or no deployment of scribes to this once remote Island. Even though historical relics of Samui have been discovered dating back more than 1,200 years, it was not until the late 1800’s that Samui, started to become known, even to the Thai people themselves. It was during the reign of King Rama V, His Majesty King Chulalongkorn, that Samui was included on the map of the Kingdom of Siam. Thailand, was, and still is, a proud and insular country, being one of only three countries in the Northern Hemisphere never to have been conquered or colonised. Politicians and leaders viewed foreigners with distrust and went to great lengths to protect Thai people and Thai culture from all non-Thai “corrupting and diluting influences”. However, Thailand’s favourite King, King Rama V was more outgoing, he travelled extensively throughout the world, and, in 1887 on his return from lengthy travels abroad, he visited Samui while in transit to his favourite holiday destination, Koh Phangan. At that time, little was known about Samui, except for the main produce of the Island, coconuts (which are processed for copra production), tropical fruit, fishing and bamboo. Malaysian and Chinese/Hainanese (Hainan, is the southernmost and smallest province in China) traders and sailors had been visiting Samui since the middle of the seventeenth century, initially to find safe harbour from the tropical storms in the Gulf of Thailand. Many never returned home, while others migrated to Samui to find employment or to reunite the families of the sailors who arrived earlier. These new settlers on the Island initially lived near the main fishing and trading ports of Nathon in the South-West and Maenam or Bophut in the North. The migration and integration of these settlers greatly influenced the local culture, architecture, beliefs and food in Samui. They also brought Buddhism with them, which eventually became the island’s main religion, as well as a small and industrious Muslim population. Prior to these developments, the islanders mainly worshipped various ghost like spirits. One of many theories regarding the naming of the Island, is that the word “Samui” is a derivative of the Chinese word “Saboey”, which translates to “safe haven”, and is why the original seafaring Hainanese came to the Island. Samui remained a remote trading outpost for many years, over time, dirt paths became worn and connected some of the seaside towns, one by one, via local clans or family settlements. These tracks were not maintained and were used by locals travelling on foot or on the back of buffalo. The tracks to any of the huts and settlements in the mountainous centre of the island were even worse and more difficult to traverse. As all the main towns were, and still are, located along the coastline, the preferred and main method of transportation was by sea, on long tail boats. Nathon, being the closest settlement to the mainland, was the fastest growing and quickly became the transportation and commercial hub of Samui. Eventually, Nathon became the Capital City of Samui, and also the centre of all the local government administration.The local industries, tropical fruit, bamboo, coconut and fishing continued to grow, as did the small coastal villages of Lipa Noi, Maenam, Bophut, Chaweng and Lamai. In the 1960’s and 70’s, when love and peace perfumed the air, thousands of free souls made their way from Europe to Asia spreading flower power wherever they went. As technology boomed, the word of these predominately deserted tropical Islands spread like wildfire. As air-travel costs became within the reach of many, this led to Thailand becoming one of the most popular holiday destinations in the world. Not only with the backpackers and bohemian travellers, but for travellers of all types. In 1967, the Head-Man of the Island, Khun Dilok Suthiklom, approached and asked the relevant authorities in Bangkok for the funding required to build the now famous 52 km ring road around Samui. The funding request was successful and the ring road project in Samui began later that year. The road engineers and 200 odd manual labourers had many challenges ahead! The steep and treacherous hills in the north-west between Nathon and Maenam and the rocky, mountainous terrain on the east coast of the Island provided the most formidable physical challenges. Dynamite, and lots of it, proved to be the most effective method of removing the rocks and trees while clearing the way for a 52 klm path that needed to be wide enough for the road building machinery and vehicles to pass. This path eventually provided construction vehicles access to all of the 52 kilometres, speeding up the ring road construction. Samui’s tropical climate, although perfect for 11 months every year, caused many delays as any heavy rain or flooding made road building impossible. By 1973, the clearing had been done, the foundations were laid and it was time to pour 52 kilometres of concrete, 12 metres wide and complete this historic ring road project. The ring road is officially named Thai Route 4169. The Island’s first Bus ! Every type of traveller was coming to enjoy the amazing offerings of the southern Islands of Thailand in both the Andaman Sea and the Gulf of Thailand. Major cultural and economic changes were starting to come to Samui and with precious little warning. The popularity of all the southern Islands grew quicker than anyone imagined and with it there was an unheard of amount of money being spent by these tourists, and the locals wanted to get a slice of the action. And why not? Hotels, guest houses and bungalows were sprouting up everywhere, much quicker than the infrastructure needed to cope with the growth. Samui, at this time was not a City, and relied upon the allocation of funds from the government offices in Surat Thani and Bangkok. A large number of Samui’s Thai population had come to Samui from other towns within Thailand to find work in the booming tourist industry, and they were still registered in their home city and province. The allocation of funds is based on the towns permanent population, these transient Thai’s and the 40,000 tourists on the Island at any given time, were not included in the government census of Samui. Unfortunately, the allocation of funds to Samui was calculated on a population far less than it was in reality, and these funds were not adequate. This has been the major cause of most of Samui’s “growing pains” over the last 30 years. 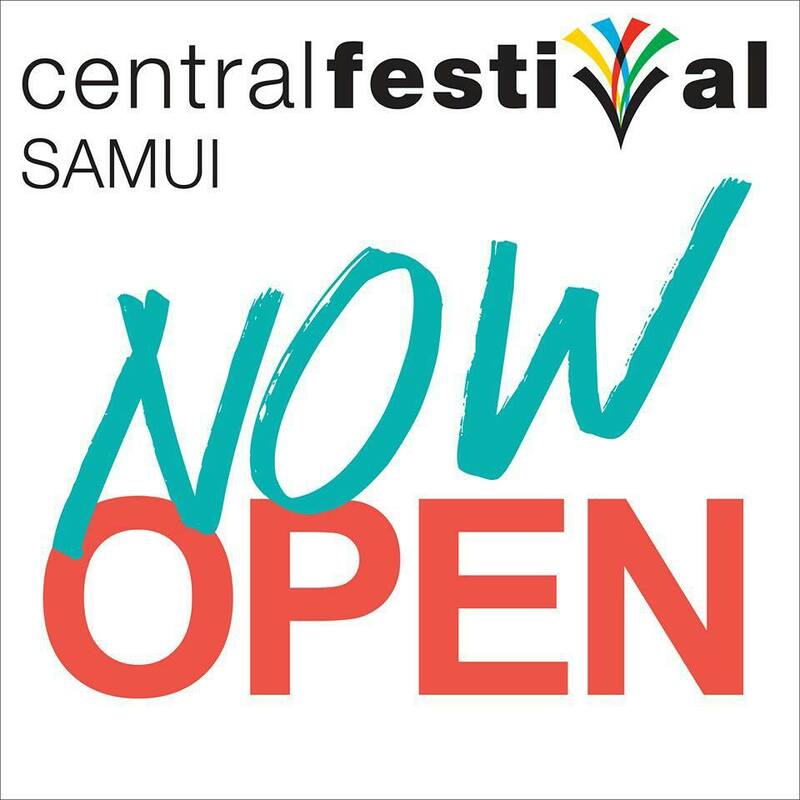 Samui is now a City in it’s on right, and the required improvements are well under way. In 1980, The Tourism Authority of Thailand commissioned a project to explore, develop, and promote the island as a tourist destination. Samui quickly became a favourite destination for both Thai nationals and foreign tourists. Even more guest-houses, hotels, dive shops, cafes, and restaurants sprung up, this time, many foreigners chose to stay and get married or open up businesses, making Samui their home. Despite Samui’s popularity, it was still quite a journey getting here, until 1989, when Bangkok Airways privately funded Samui’s first and still only airport. Samui International Airport, regarded as one of the nicest and most charming tropical airports in the world, has undergone one expansion and is still the only airport in Samui. The main ferry companies Seatran, Lomprayah and Raja have also continued to increase and improve their services. Samui is now one of the leading holiday destinations in the world with accommodation, restaurants, night-life and shopping to suit almost every taste and budget. Thai’s and Westerners work together in many of the leading hotels and businesses successfully combining the charming Thai style, that we are all here to enjoy, with some of the Western touches that can make a visitor feel more at home. ← WHY DO THAI GIRLS SIDE-SADDLE?